Growing a plant at home isn’t all that easy. To stay alive, you need to shower all the attention, love and water on your green buddy, making sure it stays hydrated. And if that’s just too much to fit onto your busy schedule, here’s a way to grow some green at home, that doesn’t take up too much of your time. 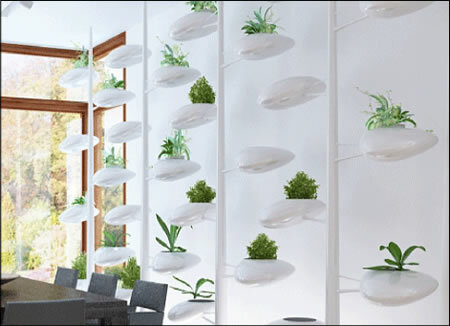 This vertical garden designed by Brooklyn designer Danielle Trofe is called the Life Screen and works as an automated sprinkler system. 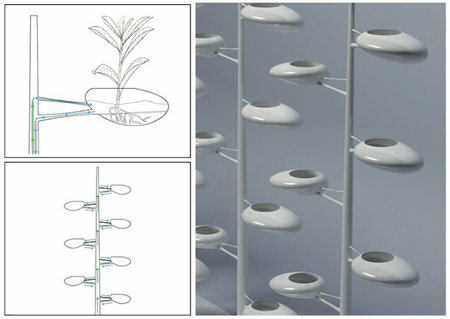 The system waters the plants that you grow in the provided pods at a preset time every day or week, as per your preference. 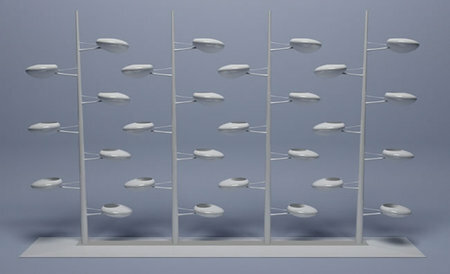 Excess water trickles down to a collection tank through a set of plastic tubes to prevent water wastage. A great way to keep the green in your home alive, the Life Screen work’s just great for those who love greenery but are just too busy to maintain it.